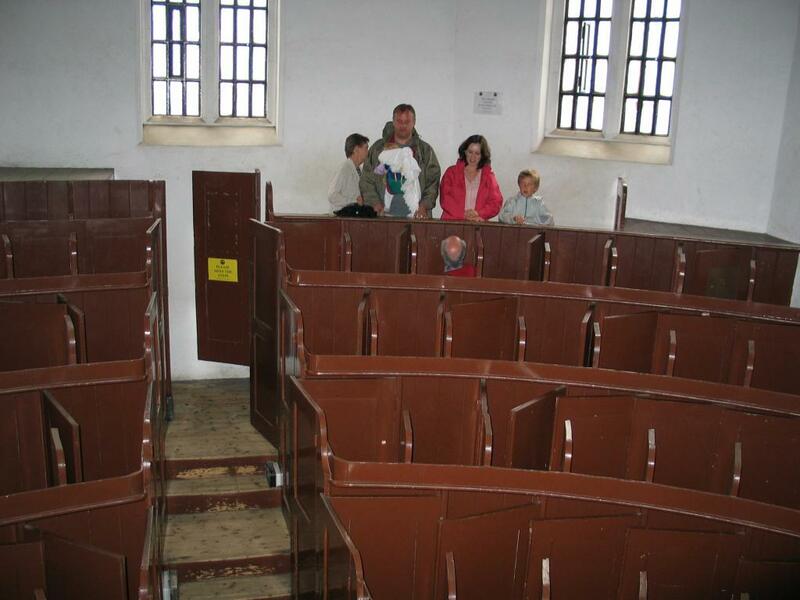 Inside the prisoners' chapel at Lincoln Castle. Each of the booths has its own door, constructed so that when someone is in the next booth, you can't get out. The corridor door locks. The booths are designed so that you can't really sit down, and the preacher can see whether everyone is paying attention. Pat and I briefly got locked in when one of the latches jammed!